Yeah, so uh, Instant Pots are pretty popular. 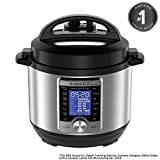 Amazon was running a crazy deal on the 6-quart Instant Pot DUO60 that sold out quickly on Monday. Then it re-upped on Tuesday when Amazon apparently found some extra inventory in a basement somewhere. Now, sadly, the deal has sold out yet again — and likely for the last time. Don’t worry though, because three new Instant Pot deals popped up to take its place. Amazon is currently offering three different Instant Pot cookers at their all-time lowest prices. 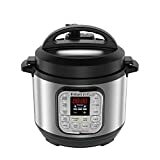 The Instant Pot Duo Mini 3 Qt 7-in-1 Multi- Use Programmable Pressure Cooker is available for $59.99, and it’s the smaller version of the DUO60 that sold out earlier today. 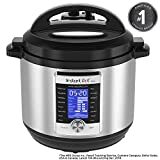 Then there’s the Instant Pot Ultra 3 Qt 10-in-1 Multi- Use Programmable Pressure Cooker, which is down to $85.95 from its full retail price of $120, and the huge Instant Pot Ultra 8 Qt 10-in-1 Multi- Use Programmable Pressure Cooker is down to $119.95, a $60 discount. All three of these Instant Pot deals are sell-out risks, so grab them while you can. And for more killer Prime Day 2018 sales, be sure to check out our Prime Day deals master list.